Carlos Coste is a renowned and record breaking free-diver. 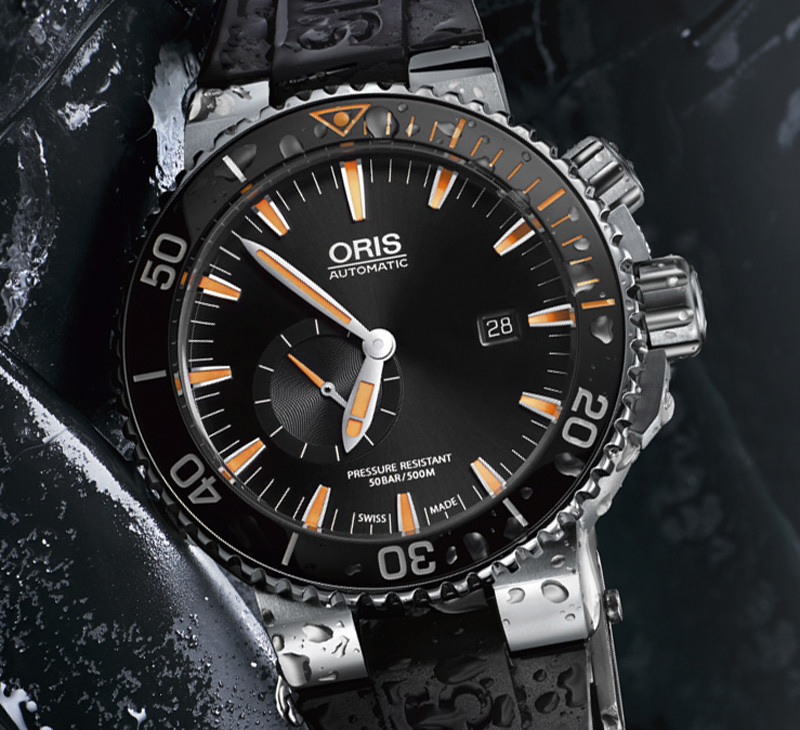 In 2003 he became the first person to break the 100-metre barrier in the free immersion category, and in 2010 he set a new Guinness World Record by swimming 150 metres through Dos Ojos, a vast underwater cave network in the Yucatán Peninsula, Mexico, on a single breath. He can hold his breath for seven and a half minutes, earning him the nickname 'El Acuaman Criollo' (which roughly translates as 'the natural waterman') in his native Venezuela. A brand ambassador since 2006, he collaborated with Oris to develop the new Carlos Coste Limited Edition IV diver watch. 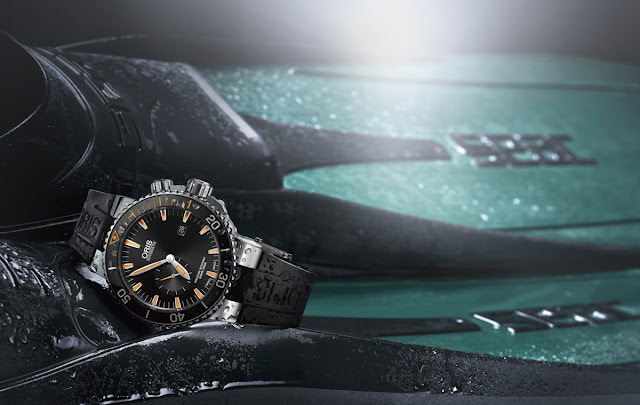 The multi-piece 46 mm case is made from titanium and is equipped with a unidirectional black ceramic bezel with a white Super-LumiNova minute scale to read the dive time at a glance. 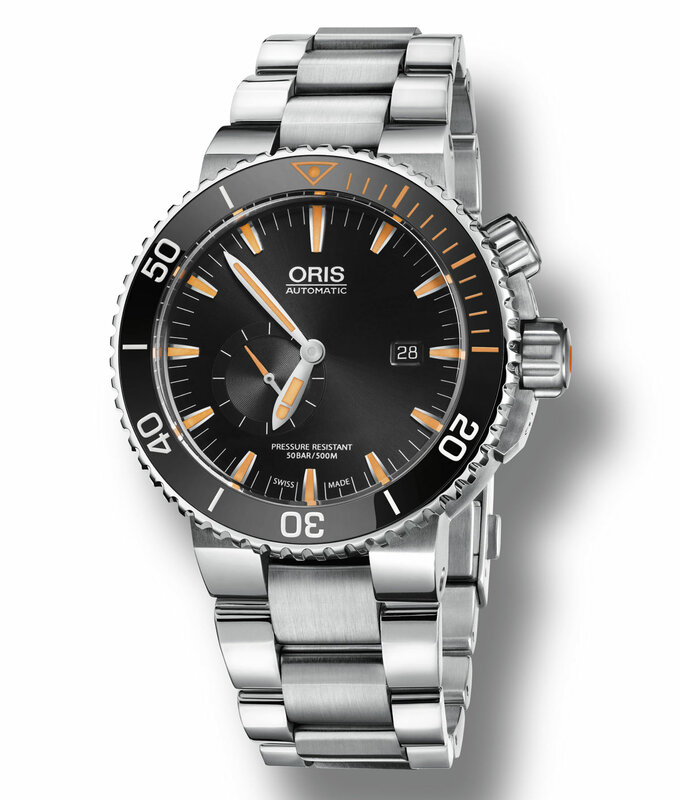 The watch is water-resistant to depths of up to 50 bar (500 metres). 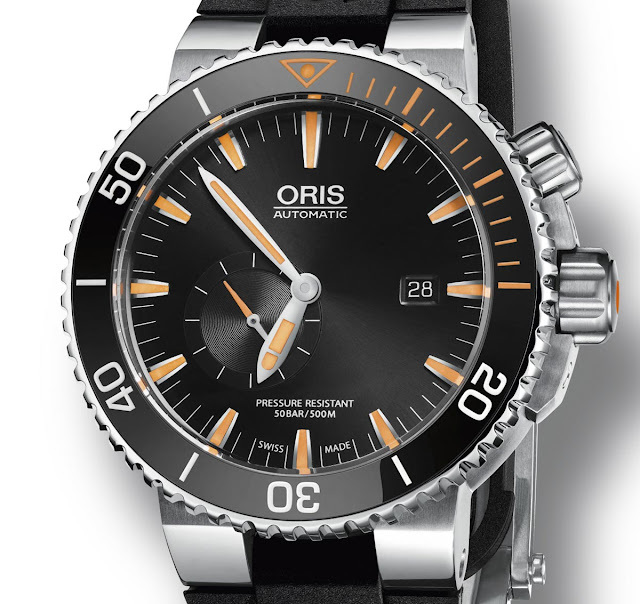 The black dial is ideal to enhance the visibility of the applied indices and hands filled with bright orange Super-LumiNova while the anti-reflective coating used for the domed sapphire crystal helps minimising glares. 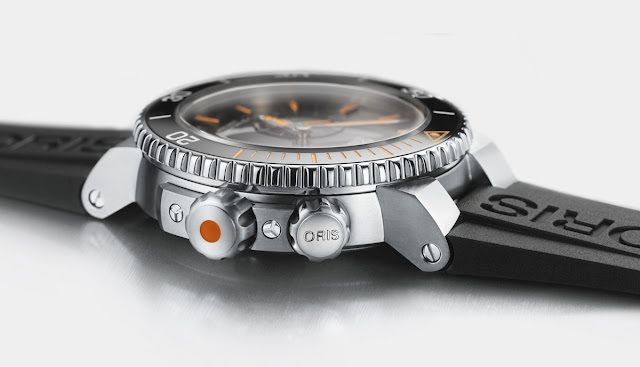 The manual helium valve is positioned at 3 o’clock and can be distinguished from the time and date setting crown at 2 o’clock for its large orange dot. 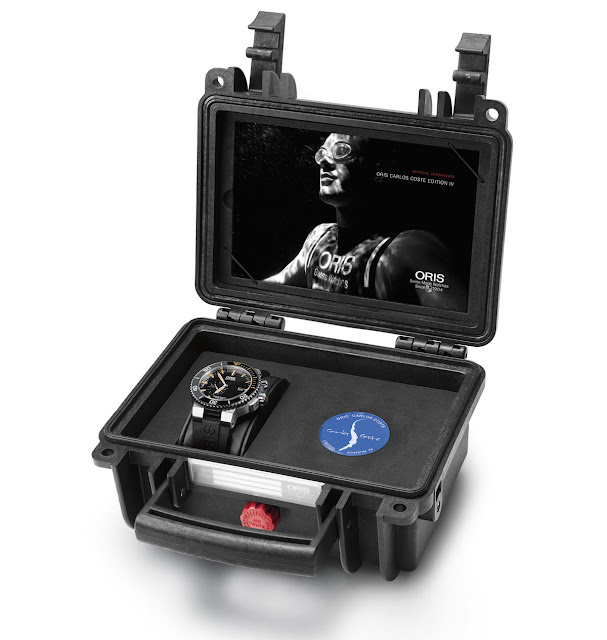 The screwed titanium case back, engraved with Carlos Coste’s emblem, protects the 4Hz (28,800 vph) automatic movement Calibre 743 - based on Sellita SW 220-1 - with date at 3 o’clock and small second between 7 and 9 o’clock. 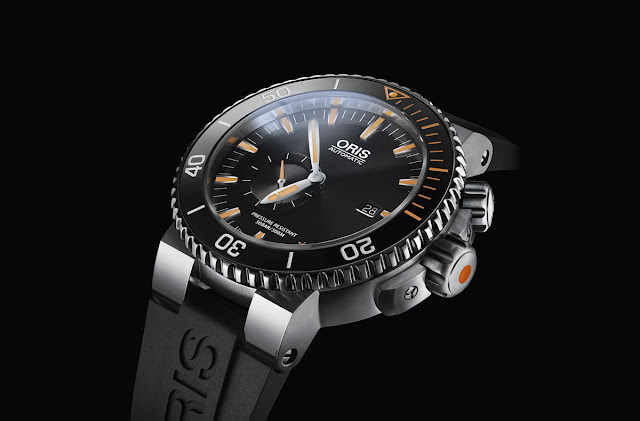 Oris Carlos Coste Limited Edition IV. 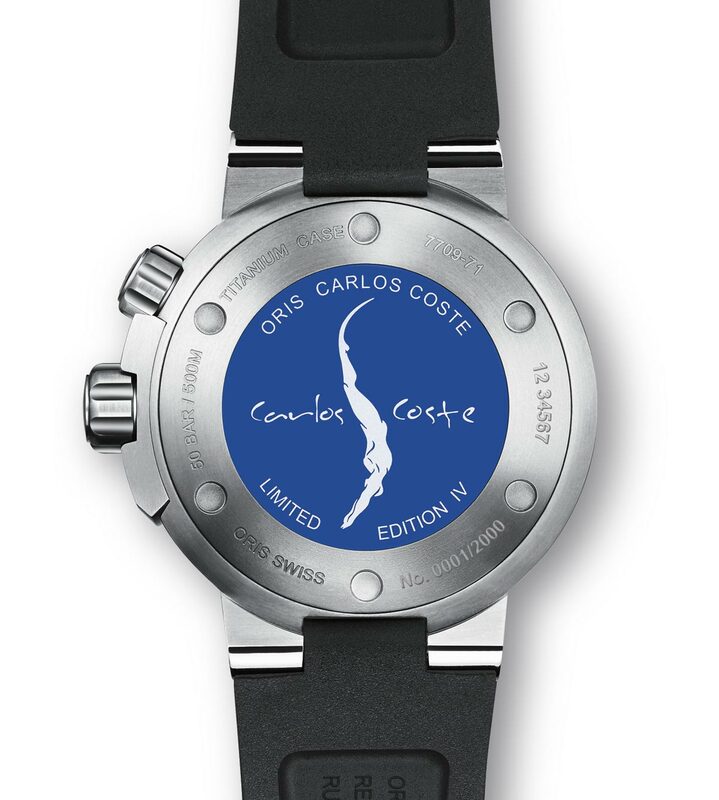 A brand ambassador since 2006, Carlos Coste collaborated with Oris to develop the new Carlos Coste Limited Edition IV diver watch. 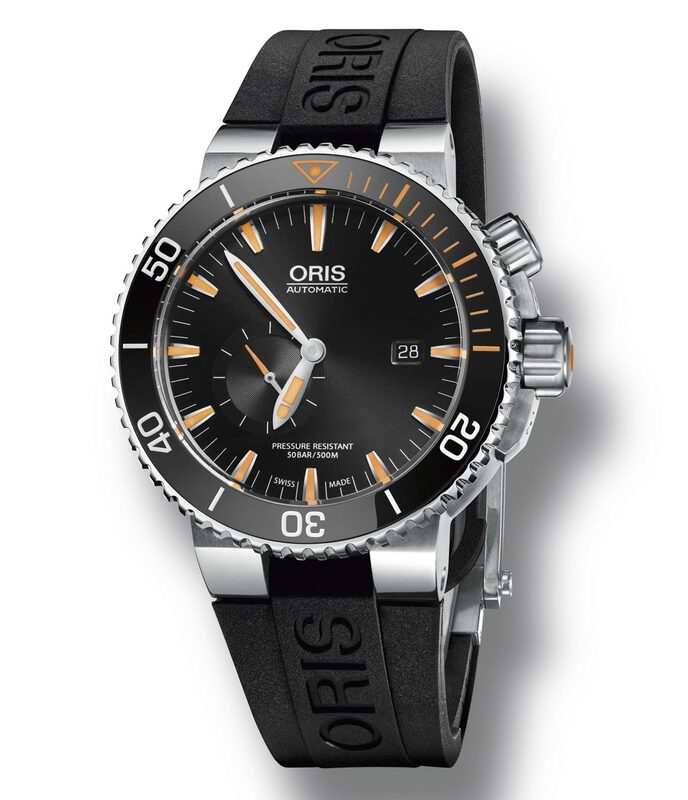 A 2,000 piece limited edition, the Oris Carlos Coste Limited Edition IV (ref. Ref. 743 7709 7184 RS) has a price of Swiss Francs 2,500 / Euro 2,300 with a black rubber strap or CHF 2,700 / Euro 2,500 with a titanium bracelet.